I’ve got an awesome new recipe on that you have to try for your game day this weekend. are here! And they are fantastic. Imagine stuffed with pizza sauce, pepperoni and cheese and fried until golden brown. I thought that description might get your attention. The crazy part is the taste is even better than the description. 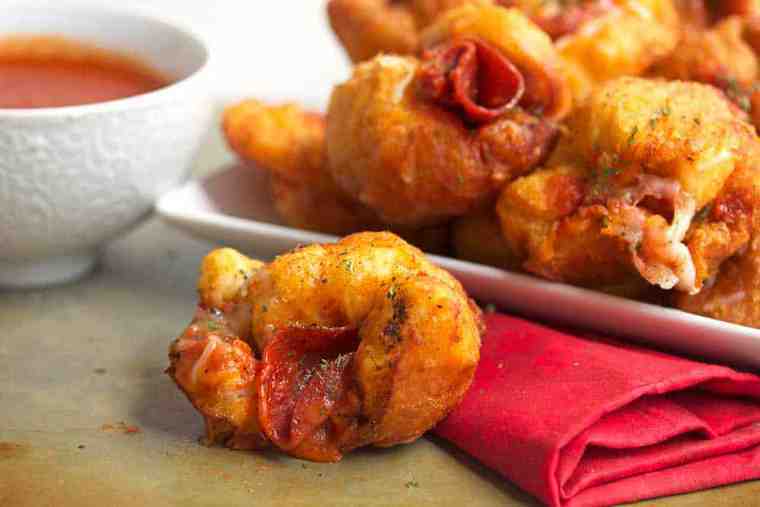 These make the perfect appetizer for any fun game day celebration. I plan on making these a lot this football season. 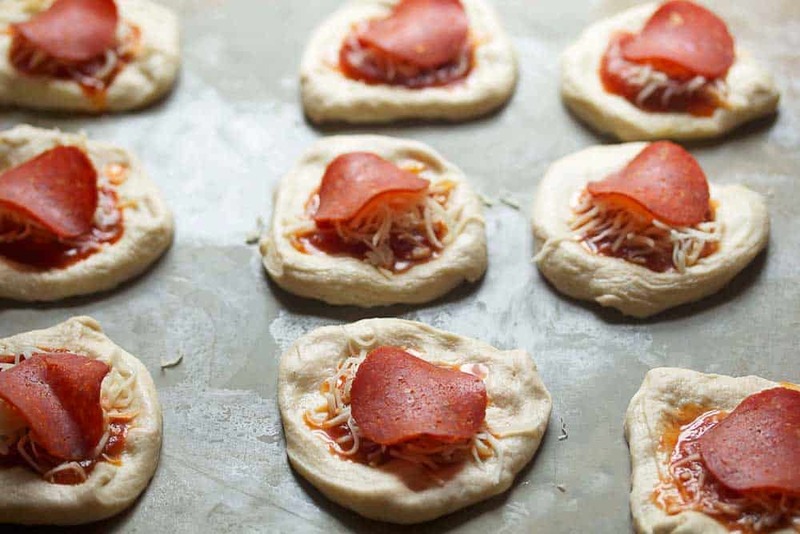 You can even play around with the ingredients and try sausage and other pizza topping favorites or you can make these healthier by skipping the frying and baking instead. , along with step by step instructions and photos which will guarantee these turn out perfectly each and every time. And if you want more ideas for great recipes, check out the rest of my Pillsbury recipes right . Now excuse me while I go fry another batch. I would go to town on these bombs. Uh huh, I sure would! Fried pepperoni? So sinful, but looks so good! If this isn’t game food I don’t know what is! This looks like a lot easier than making pizza! I wouldn’t mind these just one bit! you deep fried these pizza bombs?! this is why I love you, J. Damn, no wonder they look so good! Hahaha thanks so much my dear! Now THESE are fantastic Jocelyn!! I am totally making these this Sunday!! Thank you for the recipe!! I usually do Pillsbury Pizza Things with crescent rolls + baking, but I think biscuits + frying is a WAY better idea! Thanks for the new appetizer recipe, sure to be a hit with everyone everywhere. 🙂 Have a great weekend! Hooray Meggan! I love using the crescent rolls too because they are super delish! Yep a dozen is totally necessary too! Wow, these look so so appetizing. I don’t have a game day coming up over here any time soon, but I think I need to think of another good excuse to make and eat some of these! I love any excuse to make these Helen!